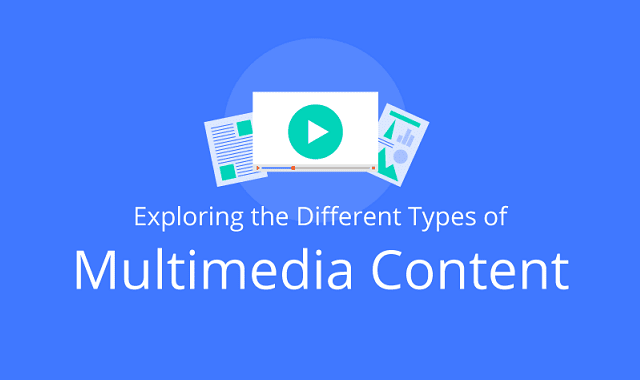 Why You Should Care About Multimedia Content #Infographic ~ Visualistan '+g+"
There are many types of multimedia content that can work for your brand. The beauty of this type of marketing is that it’s flexible based on your individual needs and the preferences of your audience. For example, some industries lend themselves to video more than others, while the audiences of some niche companies respond well to games or quizzes. The best way to learn what works well for your case is to try a handful of different media and see what sticks. Video content is one of the easiest forms of multimedia to replicate. Anyone with a smartphone can film an interview or clip, and it can instantly get shared across multiple social media channels to reach millions everywhere. You don’t have to invest in advanced video editing and sound equipment to reap the benefits and attention of your customers. Video content also allows businesses to connect with customers who are visual and auditory learners, opening up a whole new flood of leads. Of course, there are other forms of multimedia content that require more resources. Interactive infographics are one of the most popular out of all of these, because they stand out above static options and are still new to the marketing world. Audiences click through a quiz to learn about themselves, follow a flow chart through a decision-making process, or click on multiple pages to open up new information. With the right level of creativity, the possibilities are endless. Check out the infographic below to learn why so many people love multimedia content and how you can test it out today.